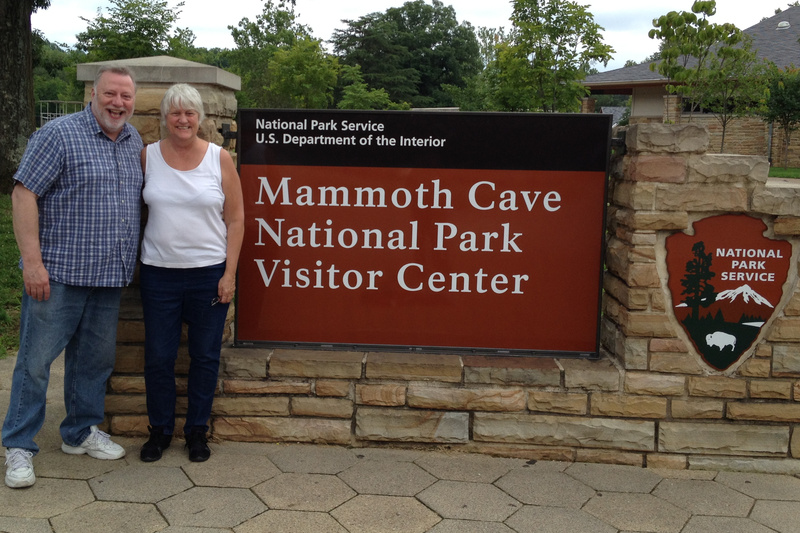 My husband and I visited Mammoth Cave National Park in Kentucky last week. He had never been there before, but was always curious about it. I visited as a seven-year old with my family, and mostly remember my dad poking me in my back to move on or get in front. Although it was hot and humid in Kentucky this July, the cave maintains a temperature of 57° and is not damp. Once I started descending through the woods to the historic entrance, I dreaded going back up to the surface. We walked a mile in from the cave entrance, but didn’t see drip flow, although there is plenty in the more than 400 miles of explored cave. The number of miles changes every year as people spelunk and discover more connecting parts. There are also many other caves in the area, and I mean the LARGE area of hundreds of miles square on the surface. They only consider a cave part of the Mammoth system if you could physically get into it. If you could just reach out and hold hands with another spelunkers, but there was no other opening, they are not considered part of the same cave system. The cave is dimly lit with orange lighting. We had some children on our tour group. One particular two-year-old screamed most of the time because she hated the We walked a mile in from the cave entrance, but didn’t see drip flow, although there is plenty in the more than 400 miles of explored cave. The number of miles changes every year as people spelunk and discover more connecting parts. There are also many other caves in the area, and I mean the LARGE area of hundreds of miles square on the surface. They only consider a cave part of the Mammoth system if you could physically get into it. If you could just reach out and hold hands with another spelunkers, but there was no other opening, they are not considered part of the same cave system.dark. We took a short tour because we had other places to be that day and wanted a feel for the cave. The history of it was fascinating — the Indian cane-torches, the salt peter mined for gun powder during the War of 1812, the tourist attraction. One of the rangers I met topside (I wish I remembered his name) was a black-skinned man who is 5th-generation tour guide at Mammoth Cave. His first ancestor to be a tour guide was an ex-slave. Very interesting history. The total darkness bit the ranger did (which is supposed to last a couple of minutes) lasted about fifteen seconds, with a very screaming kid the whole time. However, I did notice that the ranger’s watch glowed in the dark, and I couldn’t help it, my eyes followed his wrist during those 15 seconds. It wasn’t like I was scared of the dark, or screaming toddlers. It was the only light around. I tried looking away, but kept coming back to his watch. You’d think that those fifteen seconds lasted longer by this description, wouldn’t you? Needless to say, it was black-black-black (except for a wrist watch). Leaving the cave, we tourists needed to walk through a sudsy rugged area to cleanse our shoes just in case we were visiting another cave. Mammoth bats have white nose syndrome, which is easily transported to other bats in other caves via tourists. Hence, the shoe washing. Before leaving the park, we went to the Mammoth Cave Post Office to mail some postcards and get them stamped there — we hadn’t done that old school personal stamp touch in years. The post mistress was chatty. Without any encouragement, she told us of one tourist who was surprised to hear that the cave tours were underground, and another person came to the post office wanting directions to the portal. Apparently, according to some nerd grapevine, there is a portal to an alien world someplace in Mammoth Cave. Well, when I heard that bit of information, this nerd wanted to take other tours. Why? So I could find the portal, too, of course. I MAY have found it (see pix above), but as I said, we had other places to be that day, so portal seeking would have to wait for another time. 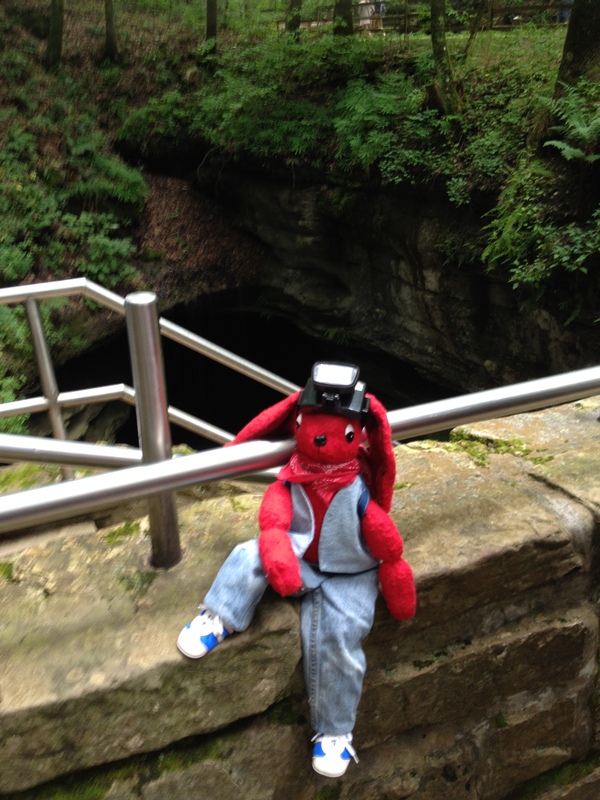 But if you go to Mammoth Cave National Park, and have time to explore more than I and happen to verify said portal, please send me a message about its location. I thank you. 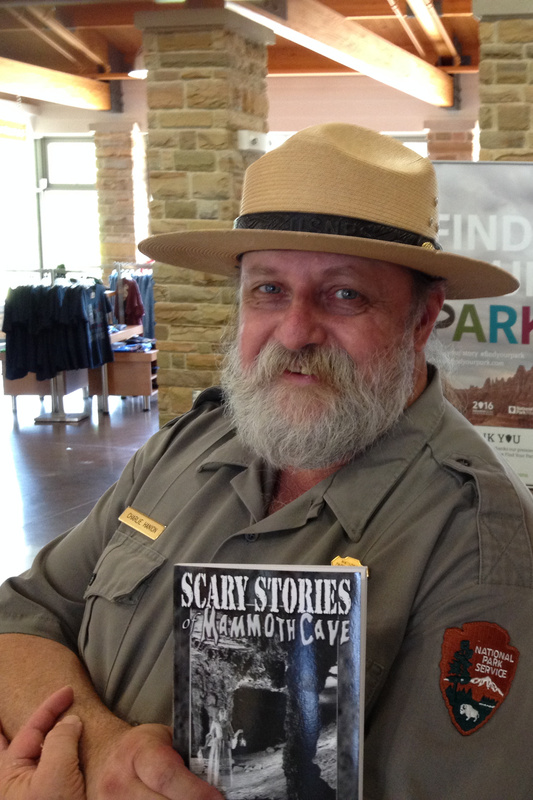 This entry was tagged author signing, bats, history, Mammoth Cave, National Park, portal, tourists. Bookmark the permalink.